Yeah, he's so cute, when he smiles!!! Yeah, I like Bofur too... Especially his accent!! I'm a sucker for Irish and Scottish accents!!! Drooling will occur!!! Well, I think it's a shame that there isn't much mentioned about Kili in the book... We don't really get a feeling of him... Fili's mentioned a lot more, probably because he's the oldest - but if they're so close, we should have been told some more... That's why I'm really interested in what Aidan gets out of Kili, what he makes him! And yes, my expectations are high for Aidan, but only because I've seen Being Human and know how incredibly talented he is! I really think he's gonna embody Kili completely!! and to me he looks awesome! just amazing! and here's Kili's awesome bow!! Beautiful sword! Perfect for killing orcs and goblins!! P.S. Look up James Purefoy at IMdB... He's a British actor - very cool actually!!! awwwwwwww I love this dude. He's just cute. AtomicLeo wrote: awwwwwwww I love this dude. He's just cute. edit: leo look how our sigs fit to each other! 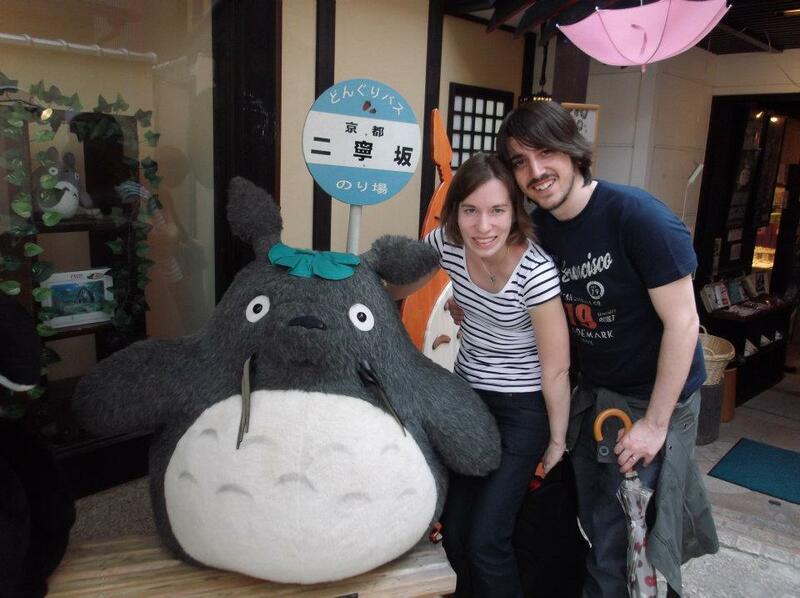 lol, he doesn't look that much like him, but here's him, me and Totoro! Wonderful pictures, guys! I love Aidan's smile. It lights up his eyes and entire face. :) So contagious. i know right!! i love his smile too! !